I’ve always admired people who have their “look” locked down. Now, I'm all about tones. Peach, coral, copper, or bronze. I’m all in, and I’ve finally found my look! On days when those raccoon eyes are in full revolt, I’ll use Urban Decay’s Naked Skin Colour Correcting Fluid in Peach. Against my skin tone, I need a deeper shade of peach in a corrector, but if you’re Caucasian, it should do. It conceals the blue hue of my dark circles, but it doesn’t do much to conceal their depth. For that, I will never not trust Double Wear Concealer in Deep. To highlight, I’m using Maybelline’s Dream Touch Lumi concealer, but it’s not my favourite. To set my base, I lightly tap on some Laura Mercier Translucent Loose Setting Powder and bake under my eyes. Then to contour, I’m still relying on my Bobbi Brown Bronzing Powder in Natural, but it’s time to switch things up as I prefer a warmer shade during Spring and Summer. My favourite part of the day is eyeshadow! I prime with Urban Decay’s Primer Potion and sweep a matte white shadow as a base. I’m working on building my Anastasia palette right now, but so far, it’s full of peach, browns, and rusty hues. Burnt Orange Matte is my favourite of the Anastasia Beverly Hills eye shadows I own. I tight-line with Topshop’s Kohl Pencil in Sable, a deep brown that doesn’t budge all day, and that I lightly smudge on to my upper lash line as well. For lashes, it’s Maybelline’s Lash Sensational! I’m still so obsessed with BECCA’s Songbird Mineral Blush that I mentioned in my April favourites. Speaking of BECCA, I’m back with Champagne Pop Shimmering Skin Perfector. It’s just too pretty! I don’t need to touch up all day, not on blusher, highlight, or even to blot, but my skin care routine also plays a part in this. I’ll share that line-up soon. I’ve never worn a look as consistently as I have this, and I don’t see much changing. 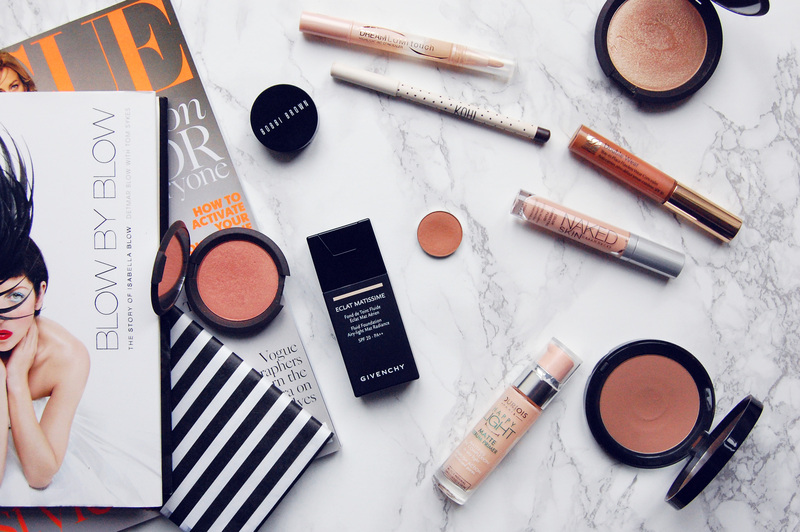 I feel like peach tones suit my complexion so well, but then again, I could be wrong! I bloody love champagne pop! I also need to try out some primers from bourjois. 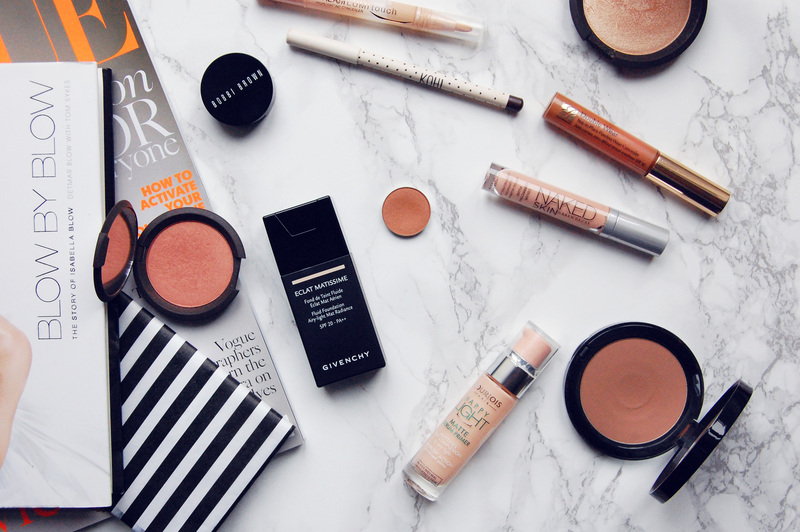 I hadn't realised until I wrote this post, how much I rely on BECCA cheek products.